"Our Breasts Hold Feelings: Unconditional love, we trust life, and we're sensual"
Girls are not taught about breast care and breast health. Breasts are complicated. We need to become friends with out breasts. How often do we consider our breast health? 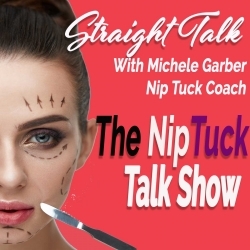 In Episode #5 Dr. Colleen Hathaway shares her expertise about Breast Health with host Michele Garber. We talk about how to take care of our breasts by massage, fluffing and discuss the psychology of our breasts. Do breast really define women? According to Dr. Hathaway, we need to start to learn how to take care of breasts and feel more comfortable touching our breasts. Massaging, fluffing and wearing the right bra is very important to our breast health. Our breast our sexual, out there and we feed babies with them. Every women needs to listen to this episode to learn more about their breasts and to be more accepting. Dr. Hathaway has a online class on Breast Health. Please share this episodes with your friends.